Sometimes when I look at certain food blogs I am stunned by the obvious creativity behind some recipes. I mean anyone who has posted a recipe before knows that recipe posts are the most labor-intensive posts ever. How much time and work you have to invest until you can hit publish on a recipe post is just insane. 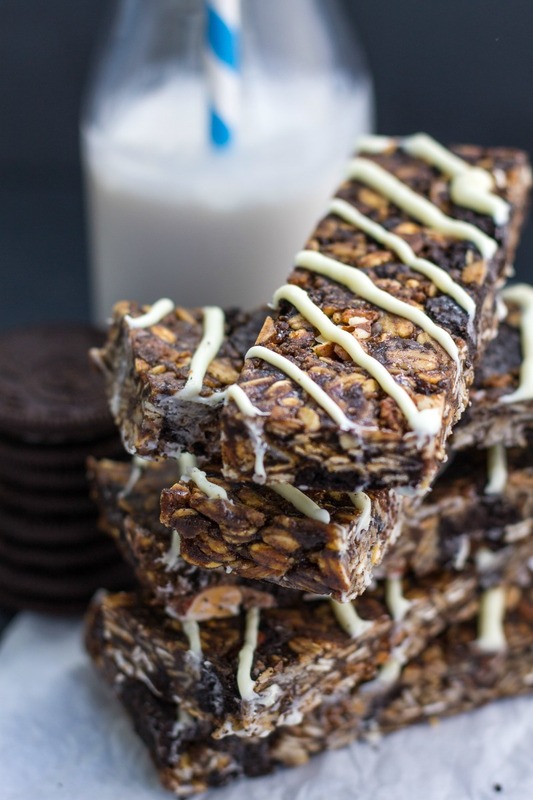 This Oreo Granola Bar Recipe is definitely one of the best examples for this but let’s talk about that a little later. 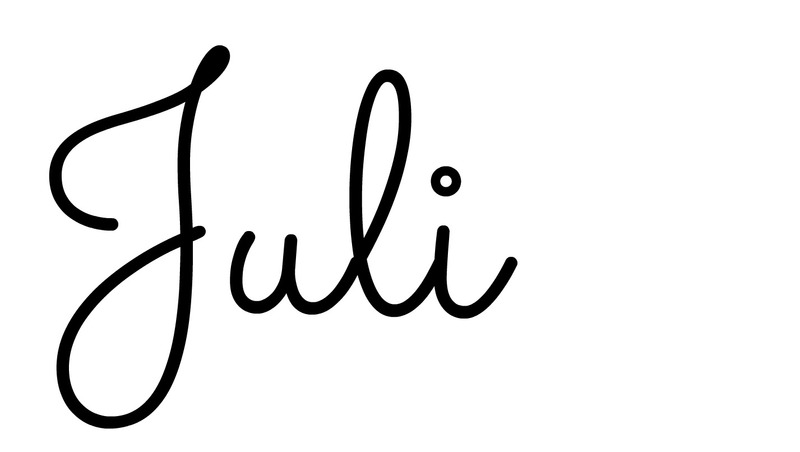 First let’s muse a bit about the creative process behind creating a recipe together. Shall we? Back in the days when I started this blog I always thought recipes are the easiest posts to put together quickly when time is short but you want to keep up with your schedule. But times change, the blog world has emerged and so has my personal standard for what I think is an acceptable recipe to go online. Call it quality control or aesthetic reasons or call it vanity (which for me I do) but let’s just face the fact that the bar has risen. But besides all the physical work that goes in creating a recipe post the brain part of it is what intrigues me the most. I mean my creative process behind a recipe is pretty much down to the question: What do I wanna eat now? 1. Random: I have a certain recipe style in mind and throw together what sounds nice. There are combos I know I enjoy and looks also often play a role. Making it colorful and look nice often has a giant impact on taste later as well. Veggie heavy dishes like these Mexican Sweetpotato Fries are a good example for this! 2. Recreations: Plain obvious there is a dish I enjoy a lot so I try to recreate it at home in order to save some money, make it lighter and healthier or tune it a little according to my taste buds. These Original Swabian Dinnete or this Spicy Cashew Beef with Veggies in Brown Sauce are good examples for that. 3. Key Ingrediens: I have a certain key ingredient I want to use in mind and I try to bulid up a recipe around said key ingredient! This White Chocolate Macadamia Granola is a great example for this. 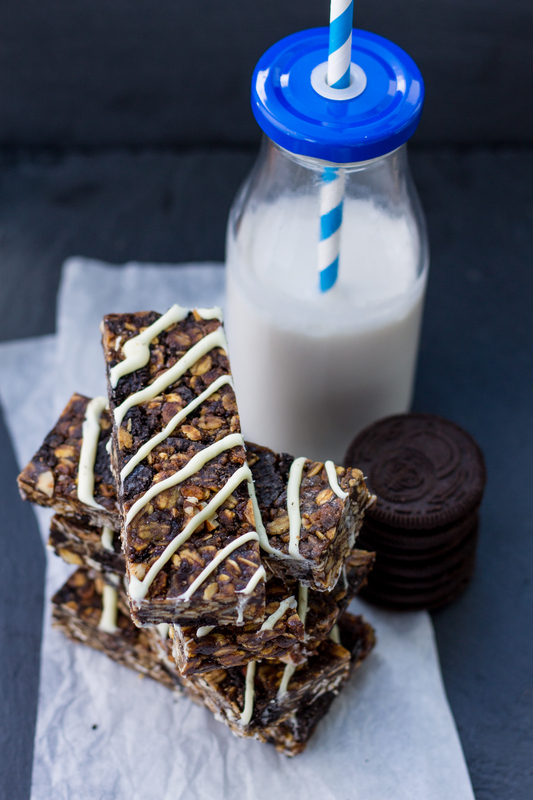 As well as these Oreo Granola Bars! I usually also try to pick Stefan’s brain but to be honest he is often not really helpful with that. He is the most creative person when it comes to marinades but apart from that all he ever requests from me is to make it yummy. That actually even is a running joke between us. So when I wanted a more elaborate opinion about my idea to make Oreo Granola I messaged Arman to pick his brain. Not only is he a good friend for ages he also has epic taste buds and I do not only say this because he liked the Oreo Almond Butter I gave him last year. No seriously he was the one who introduced me to coconut flour. He was the one who forced me (yes forced me!) to buy several containers of special dark cocoa powder on my last trip to the US. He also shares my random cravings for anything cottage cheese. To say I got a little help would be a huge understatement. He threw ideas at me like a tennis ball machine throws balls and by now I am not even sure anymore how much of this recipe is my and how much is his credit. Save to say we shared a few ideas in between. This recipe went through a visually unfortunate phase, a rock phase and a sloppy phase and now with a little help from a friend (totally hearing the Beatles sing here) it is most perfect. Thank you insert soppy endearment Arman for your help with this recipe, your epic tastebuds and a million other things I am not mentioning in detail here. I am going to stop now and give you the recipe. Soppy time is over! 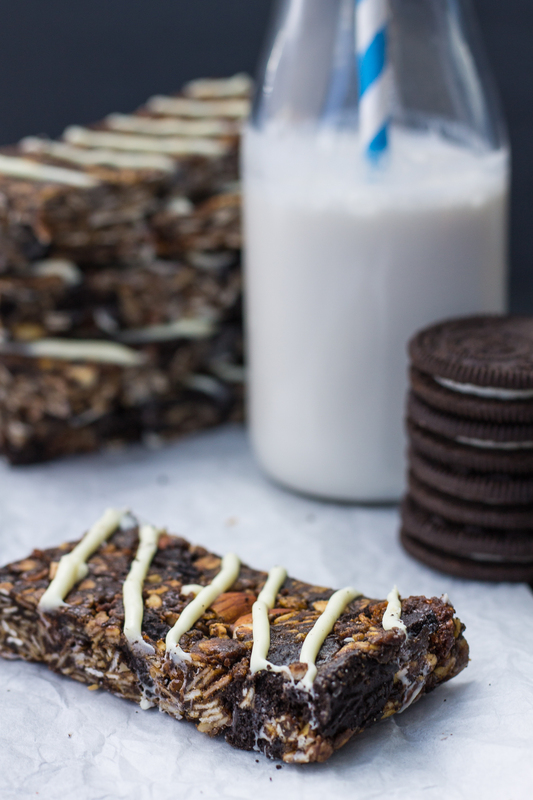 A vegan snack bar for any random chocolate or Oreo craving. These no bake granola bars are sweet and chewy without being too overpowering. The perfect afternoon pick me up. With this being said, happy Friday. My weekend starts now. I have two recipes planned to try and test this weekend. Fingers crossed my creative process doesn’t desert me. How do you create recipes? Is there a process? These are so creative! Props to both you and Arman – but it was your idea that started it all off I’d say. And ores are vegan? Seriously!? Yes I was shocked too when I learned that on a vegan blog a couple of years back. But I checked myself and it seems to be correct. It’s always good to have other food blogging friends, not only because they get you, but also because they’re fantastic for bouncing ideas off. Mad props to you both, and these pictures came out fantastic!! Don’t be silly- I gave you the granola proportions but the idea etc was all you! I remember you even saying ‘should I do oreo granola?’ lol! I love the creative process you mentioned and often have the same points which they stem from!! Necessity (hungry now) or idea I’ve seen out and about (recreate) or just some cray cray idea which might work..or not. Ummmmmmmm, I’ll take a pan of these now! Holy deliciousness, girl! You are so awesome – I always envy all your talent when it comes to recipes – and then the beautiful photographs you take after. I know I can cook, but to recipe develop is so much more – maybe if I had access to a fully stocked kitchen at all times I could whip up a few good ones! But until then I very much doubt you will see a recipe on my site! Ha!